Gentlemen! Speak! Tell us what you know about investing? Drama. “There are as many reasons for a stock price as there are investors and their money” –The Tao of Stock Prices (Goetze 2006) – but endemic stock price “volatility” is feared by many investors who regard it as their enemy and the harbinger of doom and a possible recession (Forbes, January 23, 2015, Stock Market Volatility And What Its Return Means For The Global Financial System). However, stock price volatility is overrated as a force in the markets – it is just a factor and an inevitable one compatible with real growth and development because if the markets line-up like the “Stone Bunnies” on Easter Island, either straight up or straight down, we have a problem and we’ve had that problem in the past most notably in 1929 (outcome, the depression) and 1960 (outcome, a recession) and 1987 (outcome, confusion) and 1999 (outcome, disappointment) and 2007 (outcome, liquidity) to name just a few of them. But investors ought to know that the companies themselves tend to do much better than they do in the return on equity (the capital net of debt) year-after-year in all weathers; for example, in the most feared NASDAQ 100 the return on equity was 25.6% last year and the companies paid $61 billion in dividends to their shareholders for a current aggregate dividend yield of 1.2% and that market is not even supposed to be about dividend yield but rather it’s supposed to be about “growth” and, not surprisingly, the companies tend to do much better with their retained shareholders equity than the shareholders can do with their own. And there are other problems with alleged “volatility angst”; for example, most pension funds pay a very high price for their spooky fear and “volatility protection” (which they can’t get) because they get 12% in a 25% market and nothing or less in a down market but the World’s 1,600 or so billionaires have a similar problem and a combined net worth of about $6.4 trillion and somehow they manage to get typical returns of +20% per year every year and have a lot of spending money that the pension funds and endowment funds never seem to have when we need it (Forbes, February 11, 2015, The World’s Billionaires). We don’t expect that investors will stop picking-up nickles in front of bulldozers with their volatility and leverage-based investment “models” – that’s their nature and we can’t help them – but for us investing is not about gambling or taking risks or beating our neighbor or casting our money into the thrashing machine; it’s about knowing that there are risks – we might not get our money back – and avoiding them – 100% capital safety – but investing anyway in the hope of a non-negative real return that we can’t get on our money as cash. That sounds like the real deal. To get a better understanding of what “volatility” is, we parsed our NASDAQ 100 portfolio into the 1st, 2nd and No Class companies based on their demonstrated volatility and found that even the thirty-eight companies that are currently “No Class” and are typically beset by stock price volatility and investor uncertainty, including serious misgivings or euphoria, got a better return (17%) on the shareholders equity last year than most of our pension funds and they’ll likely do it again this year. And how do we explain an aggregate price increase of nothing (zero) last year even as these companies were mostly profitable and made $68 billion on the shareholders equity of only $400 billion which the investors have currently bought and are holding for $1.4 trillion or nearly four times as much; why would anyone pay $4 for $1 unless they thought that their dollar was worth only 25¢? It’s a mystery and we can’t explain it – the “price of risk” is a sociological measure of investor behavior, not a psychiatric one – and the managed portfolio of the (B)-class companies in this same group returned +16.4% last year and +36.2% the year before even though we have no understanding of how the market might price them in view of the low confidence and self-esteem of these investors. Moreover, the more volatile 2nd Class portfolio consistently outperformed the more all weather 1st Class portfolio when managed in the (B)-class; please see Exhibit 1 below (and click on it to make larger as required) for more details on the Class Stocks of the NASDAQ and what it might mean for investors. Investing in the bond and stock markets has become a highly regulated and litigious industry but despite that, there remains only one effective rule and that is caveat emptor or “buyer beware”. Nothing that we say should be construed by any person as advice or a recommendation to buy, sell, hold or avoid the common stock or bonds of any public company at any time for any purpose. That is the law and we fully support and respect that law and regulation in every jurisdiction without exception and without qualification to the best of our knowledge and ability. We can only tell you what we do and why we do it or have done it and we know nothing at all about the future or the future of stock prices of any company nor why they are what they are now. The author retains all copyrights to his works in this blog and on this website. 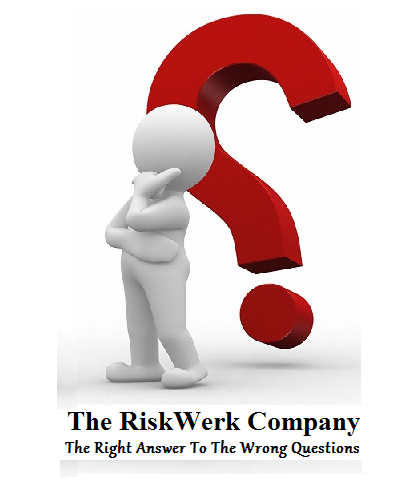 The Perpetual Bond®™ is a registered trademark and patented technology of The RiskWerk Company and RiskWerk Limited (“Company”) . The Canada Pension Bond®™ and The Medina Bond®™ are registered trademarks or trademarks of the Company as are the words and phrases “Alpha-smart”, “100% Capital Safety”, “100% Liquidity”, ”price of risk”, “risk price”, and the symbols “(B)”, “(N)” and N*.